Uber thinks it has the solution for meeting demand with supply: When a lot of people want rides, jack up the prices. Rival ride-sharing service Sidecar is taking a different approach with a new marketplace that lets its drivers set their own rates. Starting Wednesday in the Bay Area, Boston, Charlotte, Chicago, Los Angeles, San Diego, Seattle, and Washington D.C., Sidecar users can pick a driver based on price, arrival time, ratings, or kind of car. Because drivers can set their own rates, similar rides can vary in price, but you’ll know the total cost before you book a trip. Sidecar’s updated apps let you filter search results by driver ETA, recommended drivers, and ride price. 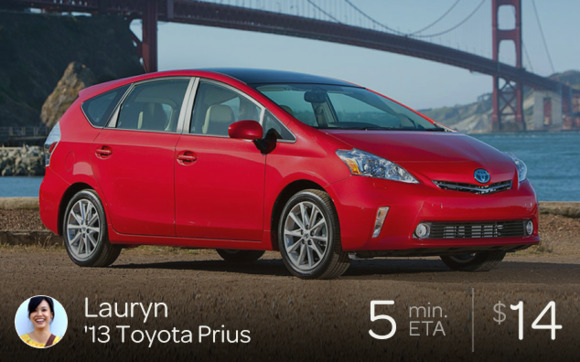 Choose a Sidecar driver by ETA, price, or type of car in the app's new marketplace. “Sidecar even lets you ‘favorite’ drivers who are exceptionally awesome, and they’ll be prioritized in your list of options when you request a ride,” Sidecar founder and CEO Sunil Paul announced in a Wednesday blog post. Sidecar’s marketplace takes a few cues from its more lighthearted competitor Lyft by emphasizing what venture capitalist Fred Wilson called “the human touch” in a Wednesday blog post. Wilson’s Union Square Ventures is putting $10 million behind Sidecar’s new strategy. 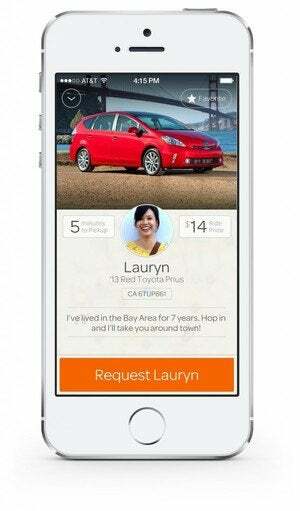 Drivers can list the perks they offer their passengers to make themselves stand out from the pack. Presumably the best drivers will make the most money. The new approach is an obvious shot at Uber, which has taken a lot of heat in recent months for the surge pricing it implements during holidays, storms, and major events. Sidecar’s marketplace is designed to be more consumer-friendly: When drivers have to compete for passengers, prices are expected to drop. Wilson compared Sidecar and Uber to Etsy and Amazon—in other words, not exactly competitors. Sidecar CEO Paul has said in the past that the company is focused on providing a good experience for drivers so they’ll want to use Sidecar over other ride-sharing apps. In November, that translated to a transition from donations to minimum fares in California. According to Reuters, Sidecar has seen a 50 percent increase in ride requests and drivers on the road cities where it’s been testing the new marketplace. This story, "Sidecar’s new marketplace lets drivers compete for your business" was originally published by TechHive.